A body is found in a sewer pipe, dead from an apparent drug overdose. The investigation shows that it may have been murder. Harry Bosch is assigned to investigate. Turns out the victim was an old war buddy of his. This case won’t be easy, because Harry has his own department, Internal Affairs, and the FBI working agaisnt him. This was a whodunit/howdunit in the old fashioned since. A lot of “mysteries” today fal more into the thriller category. You know who the killer is, but the detective doesn’t. This uses investigative skills, forensics, etc. to actually solve the case. The story really grabbed my attention. I liked the relationship between Harry and Eleanor. I enjoyed the plot, and it did what it was supposed to, keep me turning the pages. If there was one issue about it, it’s that I solved it before Harry did, but only partially. There were still plenty of surprises after I thought I knew who did it. 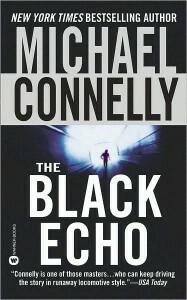 If you like detective stories, pick up The Black Echo, I think you’ll enjoy it. 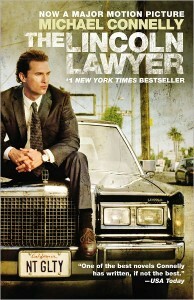 Mickey Haller – Defense Attorney. Mary Windsor – Louis’ Mother. 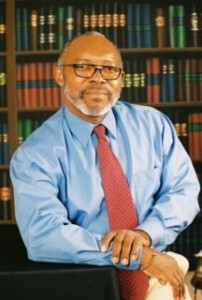 Cecil C. Dobbs – Windsor Family Lawyer. Fernando Valenzuela – Bail Bondsman. Margaret McPherson – Deputy District Attorney, Haller’s Ex Wife. Raul Levin – Private Investigator. Lorna Taylor – Mickey’s assistant and 2nd Ex Wife. A man is acccused by a woman of savagely attacking her. The man claims he’s innocent and hires defense attorney Mickey Haller to handle his case. Mickey runs into problems with his client’s honesty, pressure from the man’s family, uncoooperative police, and a district attorney who may not be on the level. This was my first time reading Michael Connelly’s books. I liked the story, and there were enough twists to keep my interest. The characters were well developed, and there was a nice balance between plot and story. There were subplots of 2 or 3 other cases, and conflict from not one but two ex wives. There is also conflict in whether or not his client is innocent? Haller struggles emotionally over cases he’s lost. This really adds depth to his character, and you can see him grow from what seems like an ambulance chaser at the beginning, to a lawyer who cares by the end. I have a feeling though, that those changes will be short lived. There were some strong situations, and language. But overall nothing you wouldn’t expect from a thriller, and it was an interesting story from beginning to end, and raised some questions about our justice system while entertaining you. If you get the chance, pick it up. It’s still early in the series. Book 3 is soon to be released, and book 2, The Brass Verdict is in stores now. Today we’re pleased to Welcome Julius Thompson to our site.. Mr. Thompson is the author of Ghost of Atlanta, the third book in a trilogy. After high school, Mr. Thompson spent the next four years riding the “A” train to Harlem, in upper Manhattan, to earn a Bachelor of Arts degree from the City College of New York. At CCNY, which was located just a few blocks from the famous Apollo Theater, Wednesday afternoons was hard on the undergraduates. The matinee performances of the major R&B groups of the times were more tempting than attending a boring college lecture. Most of the time Mr. Thompson succumbed to the temptation, but still earned a college degree from one of the best universities in the country. Rhodes Review: Tell me about your current book? Julius: In Ghost of Atlanta, Andy Michael Pilgrim faces demons from his youth. These are the ghosts in the crawl spaces of his life; some are real and some supernatural. 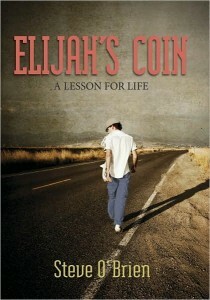 While Andy fights this battle, he must confront the personal demon of a possible drug addiction, meeting his old girl friend, breaking the color barrier at the south’s largest newspaper and fighting the lingering effects of segregation in small-town Georgia life. Julius: I’ve been a writer since I was a sophomore at Bushwick High School in Brooklyn, New York. I wrote for my high school newspaper and then at The City College of New York. After College I worked as a copy boy with the New York Times and then as a full-time sportswriter with the Philadelphia Bulletin and a part-time sportswriter with the Atlanta Journal-Constitution. Gradually, after leaving the newspaper business and becoming a high school Language Art teacher my interest moved toward the world of fiction. In 1995, I started the first book of the trilogy, A Brownstone in Brooklyn that was published in 2001 then Philly Style and Philly Profile in 2007. That book garnered me a Georgia Author of The year Nomination. And now, Ghost of Atlanta, the final book in the trilogy was published in January 2011. Julius: I knew I had this ability to write, but the motivation and confidence was zero. What developed confidence in my writing ability occurred when I was a junior at Bushwick High School in Brooklyn, New York. I got up enough nerve to ask my English teacher, Miss Egan, the question. If the answer was negative, all my hopes and dreams of becoming the next great writer would be dashed. Julius: Without a doubt my best work is done late night around 11:00 p.m. It feels like early morning, the ideas start to flow, my minds’ eye is filled with the visuals. Julius: The inspiration for writing the trilogy came from the people I’ve known, loved and imagined over the years and the situations I’ve encountered. As a college student in New York City in the sixties, I experienced the sit-ins at The City College of New York while looking at the gates of City College shut tight and wondering if I was going to graduate. I can still smell the smoke from the burning buildings during the Brooklyn riots. From incidents like these the genesis of the trilogy evolved. Rhodes Review: What led you to come up with the story for your current book? Julius: This is the end of Andy’s journey. I needed to see him come full circle, but most the maturation of his character, both physically and mentally. He’s learned you can’t control or change every negative thing that happens. It’s part of life and you have to adjust and live your life to the fullest. Rhodes Review: How long did you spend writing your current book? Julius: I spent two years writing, rewriting, rethinking Ghost of Atlanta, and a year finding the right Publisher. I’m thrilled with my current publisher, Passionate Writer Publishing. The wait was worthwhile! Rhodes Review: How much research is involved in writing? Julius: In writing the trilogy the research was pretty easy, these places were home. The settings are real places with real streets and building structures. Everything needed to be exact. I revisited all the places to make sure my memory was correct. Rhodes Review: What’s your newest writing project? Julius: I’m working on my fourth novel, Purple Phantoms, which is the story of the haunting of a high school basketball team. What sparked my interest in writing this book, as a basketball coach, I’ve seen too many young athletes die at an early age. I’m about 35, 000 words into the project. Rhodes Review: Where can readers find you? Julius: Readers can visit me on Facebook, Twitter and my websites: www.jtwrites.com and www.ghostofatlanta.com . I’d love to chat and answer any questions about my books and the writing process. I’m a Creative Writing instructor at Evening at Emory, a program of Emory University in Atlanta. 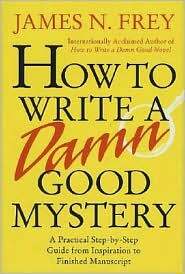 I will be glad to help any reader or writer with any information that will help them become a published author. Rhodes Review: I’d like to thank Mr. Thompson for taking this time to talk to my readers and tell you a little bit about himself. 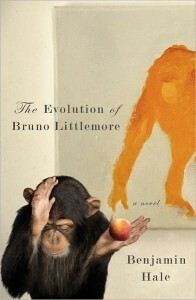 Bruno Littlemore – An evolved chimpanzee. Lydia Littlemore – His keeper. Leon – A Shakespearean friend. What happens when a chimpanzee evolves to the point of possessing language. What would he say? How would he react? How is mankind different than the Chimpanzee? Bruno Littlemore is such a chimp, and he dicates his adventures from the zoo to New York, to where he finally ends up imprisoned. This is undoubedly one of the most unusual books I’ve ever read. I went through a ton of different feelings during the process of reading it. Initially it was revulsion. There were some scenes of very intense taboo sexual matters that bothered me to even think about. But then I decided that I’d agreed to review it, so I needed to continue on and finish the job I started. This book wasn’t truly about a chimp. It wasn’t about his love affair with woman. It wasn’t even about his evolution. I think deep down, the story was about mankind. This was mankind as seen by an outsider (Bruno) and what it meant to be human, and what separated us from the other primates. That is when I was glad I’d read this book. It is one that brings about a lot of questions. It raises a lot of issues for discussions. It makes you question whether or not we humans are truly as evolved as we like to pretend. As some scenes in this book show, Bruno is more civilized then some humans. There’s a lot of strong language in this book. Very strong sexual content. And some graphic violent imagery. It’s definitely not a book for young readers. I’d say it might be safe for those 16 and older, but parents might want to read it first to be able to discuss the issues with their child. Apparently this book has been hyped about immensely since last June, and was just recently released. I was glad to get a copy to review, since I probably wouldn’t have chosen it otherwise. The publisher is 12 which is a group that only publishes one book a month. At first, I had no idea why they chose this, but now that I’ve read it, I get it. It makes you think, really think. If you don’t get offended easily, and want something different, pick this up. I’d love to hear your thoughts on it. Benjamin Hale is a graduate of the Iowa Writers Workshop, where he received a Provost’s Fellowship to complete his novel, which also went on to win a Michener-Copernicus Award. He has been a night shift baker, a security guard, a trompe l’oeil painter, a pizza deliverer, a cartoonist, an illustrator and a technical writer. He grew up in Colorado and now lives in New York. Eloquent Enraptures and author Ami Blackwelder proudly presents the six part science fiction/paranormal romance saga! Like nothing you have ever experienced! Methodical scientist, Melissa Marn, and her coworker, Dr. Bruce Wilder, conduct experiments on the shifters. Through her pregnancy, she becomes more compassionate and humane and finds herself defending the very species she’s supposed to eradicate. One of the hybrids, Diamond, falls in love with Keenan, a soldier trained to kill her. Between the four, the reader is led from conflict to resolution, from despair to hope, from loneliness to love. Shifter Evolutions video and purchase options at her website. Character Interview: This interview will be conducted for the characters of the Shifters of 2040. Scientist Melissa Marn and the hybrid Diamond. Do you always love what you can’t have? Diamond: I fell in love with the enemy on accident. I didn’t plan to love Keenan, the military soldier sworn to kill me and my kind. He didn’t plan to love me. We just happened. Melissa Marn: The River. I am methodical like waves. I do the job needed to be done, whatever the cost of erosion, and flow continually. Close to the Earth, but I am cold, because the SCM coaxed me since fifteen, and trained me since twenty-five. Diamond: The Hawk. This is my other half, the beast inside of me, that the humans fear. I fly above the world and watch. Silent, and steady, but strong. Melissa Marn: Ice. I am cold, and hard. And too easily I melt and conform to the shape I am enclosed in, that prisoner the SCM has built around my life. Do you always walk on the moral slippery slope? Melissa Marn: It’s my job! It’s all I know. And if I didn’t do it, someone else would. What then? I know the shifters are more than the SCM tells us they are. They must feel something. But what? My curiosity and scientific training drives me. I have to find answers to my questions. I have to perform my duty! Diamond: But I love him! I know being with him draws danger to my kind, to my family. My sister. But he would never betray me, willingly. I know he loves me too. And though I am sworn to stay away from him, from all SCM, my heart dominates my head. Melissa Marn: The Italian restaurant Little Milan. Bruce and I have shared many discussions, heated arguments, and romantic memories there. Diamond: Mice…I am half hawk. Percy Jackson are back. This time they have to save Camp Half-Blood from an impending attack. The attack comes from an underground Labyrinth. 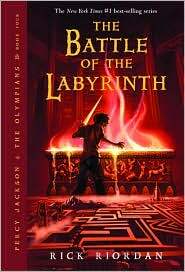 This was the fourth of five books in the Percy Jackson series. Like all the others, it had a strong foundation in mythological characters. Many this time were creatures I hadn’t heard of, so there were surprises. The age level listed at the top of the review makes this book appropriate for pre-teens and mid-teens. I personally think a lot of adults would enjoy it. I know there are a lot of people my age who have or plan to read them. So if you like Fantasy, Harry Potter type characters, Mythology, and just good clean adventure stories, then pick this up. There is some slight violence, so children who frighten easily may want to avoid them. But other than that, I highly recommend it.